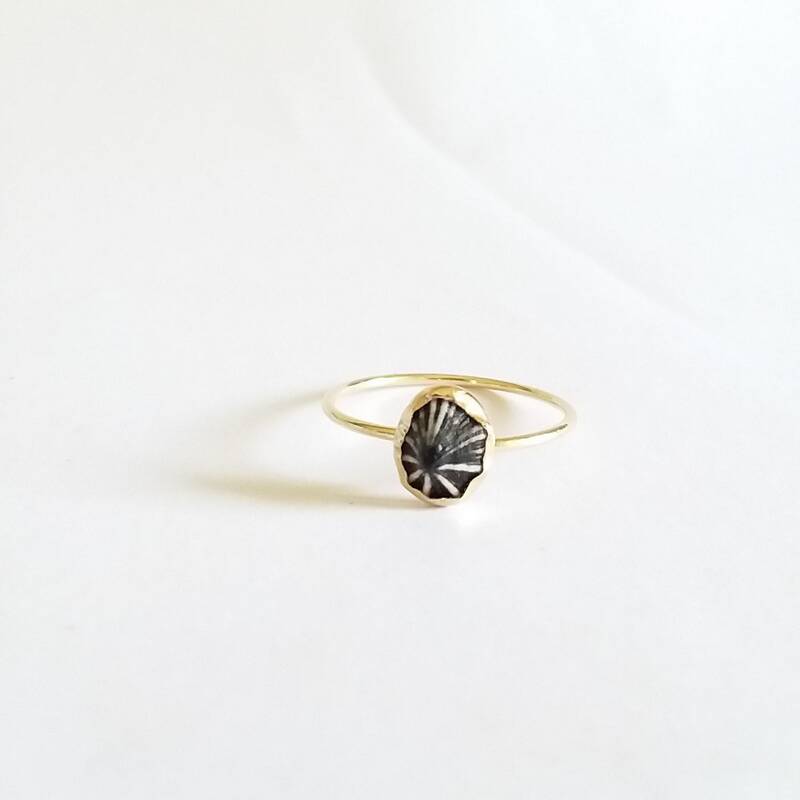 MINI OPIHI RING: The cutest little Maui shell in a 14k gold-filled setting. 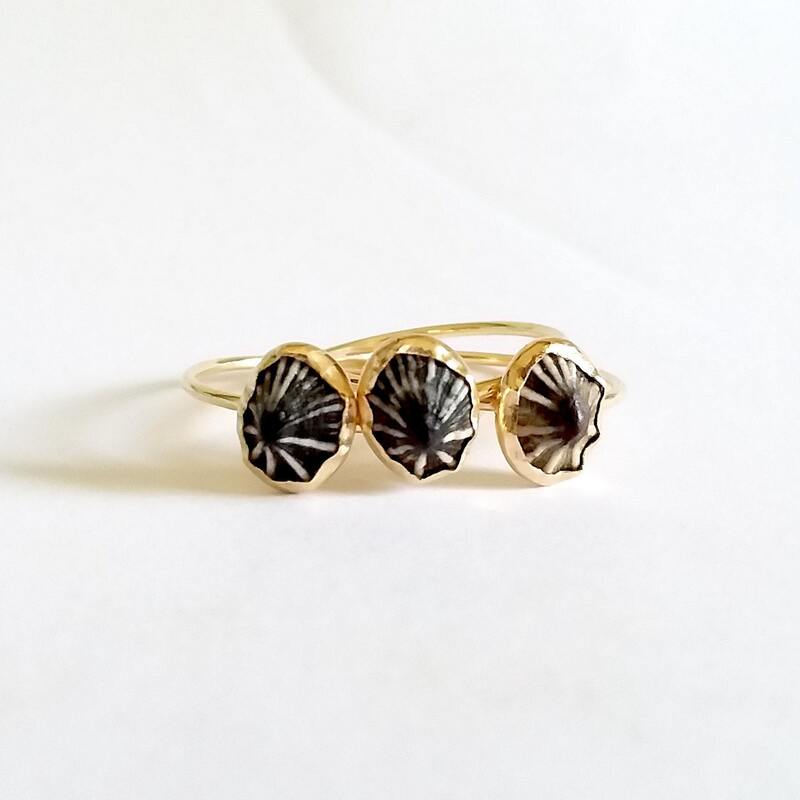 Super cute and dainty ring for 'opihi lovers. Wear one or five, it's up to you. (Includes one (1) ring) Mini 'opihi shells are shaped and formed to fit into a 14k gold-filled ring blank. Perfect gift for you or your gals. MINI 'OPIHI RING SPECIAL: Buy four, get one free! Perfect bridesmaid gift or the sweetest little gift for your closest girlfriends. One free ring will be included in your order when you purchase four rings! No coded needed.